Who has the Best HD Picture and Best Monthly Price on Satellite? RAINIER! Sometimes things aren’t as they seem to be on the surface. 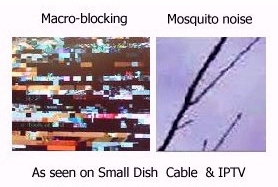 If you’ve been thinking of going with a small dish service, IPTV or Cable and own a HDTV, your not going to be happy with the picture quality you get. If you own a 4K TV it actually is worse. 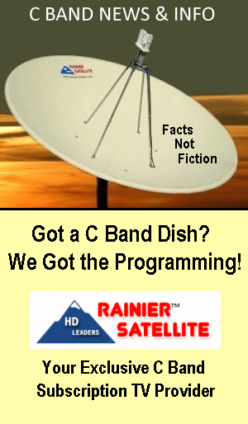 Only Rainier Satellite offers the solution. Read on and see why Rainier’s picture is different. 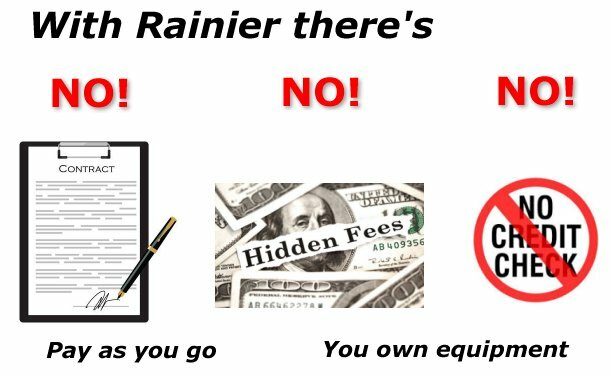 Why Choose Rainier Satellite over ALL the other providers. Are you watching your HDTV picture the way it was meant to be seen? large and small square blocks of color, and fuzziness around images. These are digital artifacts that fill in the lost data. The sound quality is not immune to this downgrading as bits and pieces of the audio is lost as well and filler is added. Providers that do this only offer second or third generation signals, copies of copies, and do not provide the full bandwidth needed for a high quality picture and sound. 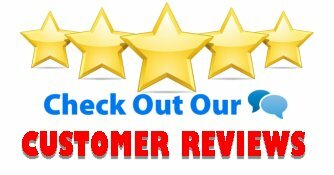 You spent your hard earned money on an HDTV and a sound system that is capable of delivering a much better quality then your getting from these services. Wouldn’t you rather get your moneys worth and truly experience HD as it was meant to be? 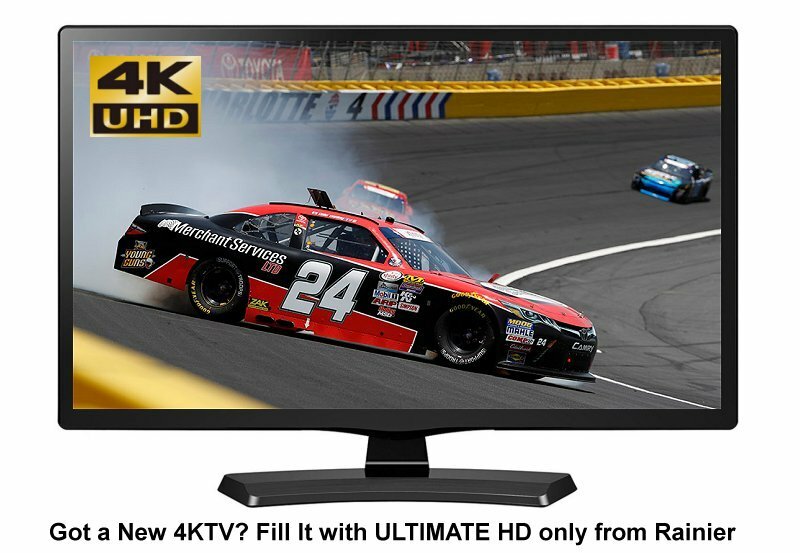 With the help of Rainier Satellite’s Ultra High Bandwidth HD programming services. Our programming is different than all the others. You receive it via C-band satellite. (this ensures no weather related issues and provides broadcast quality signals) These are very high quality Pure1080 Razor Sharp HD signals. The Rainier signals are not over compressed and rival blu-ray quality or better. Sharpness, detail, and color are breathtaking. The sound quality of your home theater system benefits too, since it’s also not bit starved due to insufficient bandwidth. We also do not bitstarve our SD channels. We use higher bitrates on SD that most other providers use on HD. 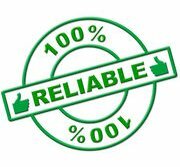 This assures our SD quality is top shelf. We provide DVD or better quality SD. Both the HD and SD picture quality we provide for you looks excellent even on a large 100 inch screen. Rainier stands for Quality not Quantity. 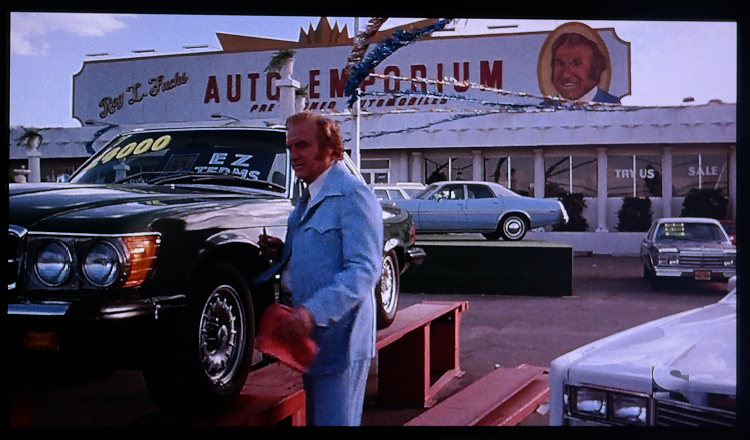 Isn’t it time you see what your missing, and get what you paid for with that HDTV and home theater sound system? 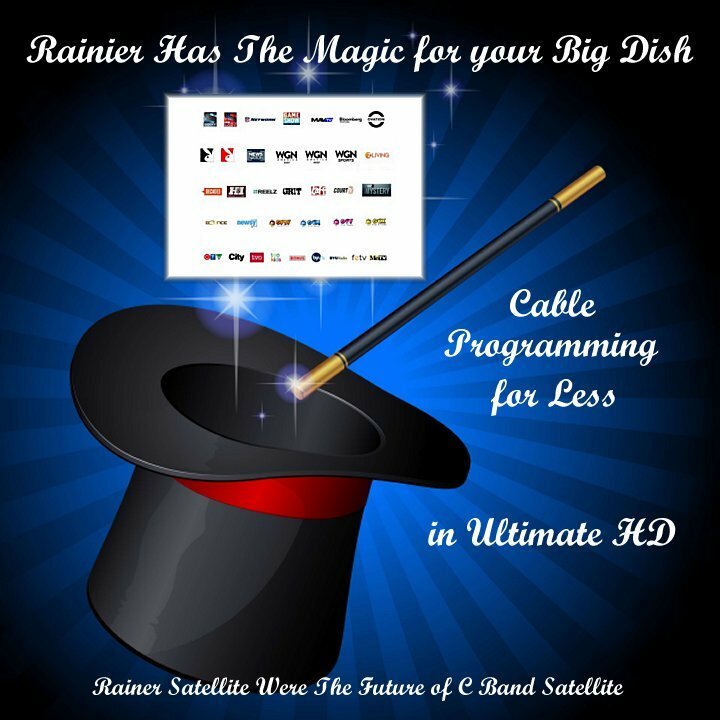 Get Rainier’s Satellites HD / SD programming services, and receive the best picture and sound quality money can buy. And Rainier beats ALL the satellite competition offering you our NEW Variety Pak for ONLY $29.99 a month. Premium Movie Channels and Sports are included at NO EXTRA CHARGE! No Contracts, No Hidden Fees, No Rain Fade. You own your equipment. Rainier Satellite, Bringing you the best possible quality at the lowest monthly price! Posted on January 22, 2019 January 23, 2019 Author rainiergroupCategories Rainier NewsTags Best Buy, Cable for your Big Dish, directv, dish network, Low Price Leader, Orby TV, satellite tvLeave a comment on Who has the Best HD Picture and Best Monthly Price on Satellite? RAINIER!